I am a huge Larry David fan... the man is a comic genius. And the fact that this season of his HBO comedy features a Seinfeld reunion as a running subplot had me on the edge of my seat. But, in the last episode... Larry thought it would be a funny gag to urinate on a painting representing Jesus. I mean... Larry... what’s up with that? 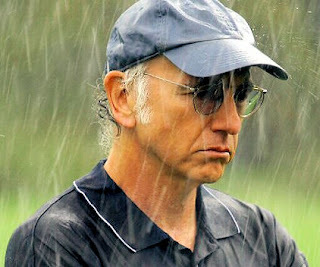 Sad to say... Curb Your Enthusiasm is no longer on my Tivo season pass list. It is fresh, inventive and hilariously funny... and with the Seinfeld subplot, historic. But Larry, you just went too far for me.